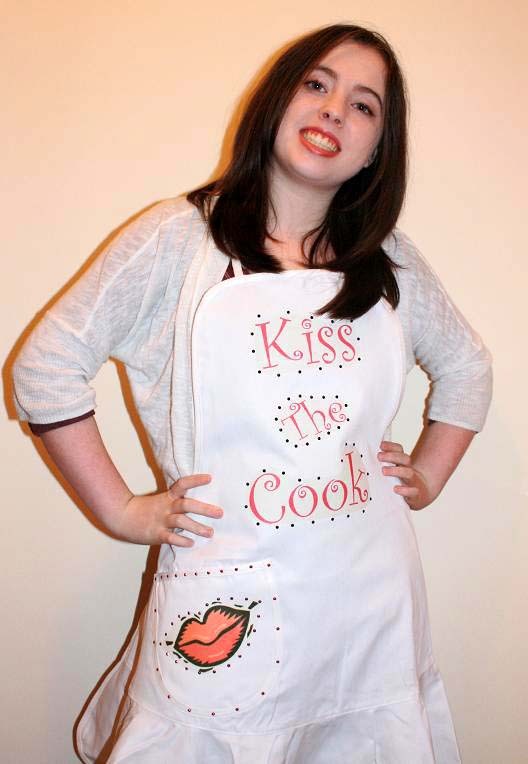 Sticking with the baking theme, this weeks project is a “Kiss the Cook" apron! 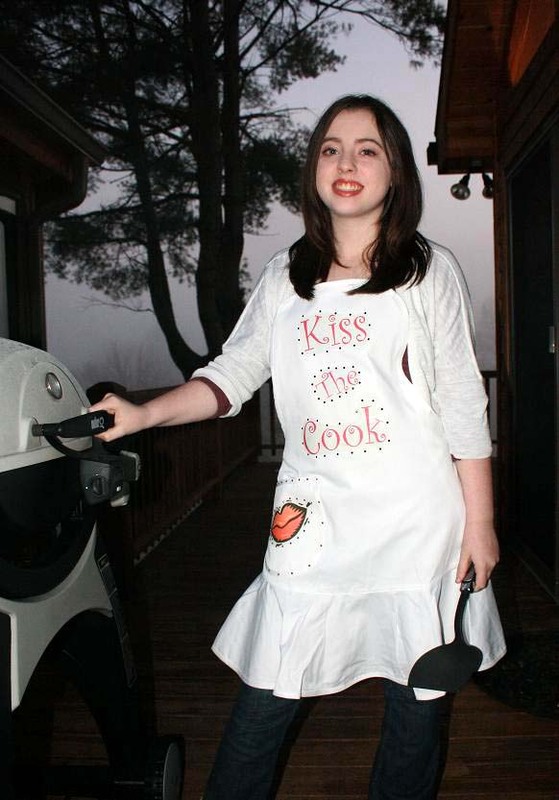 I love to bake and I was in need of an apron so what better way then to make my stylish chef couture into something everyone can wear. So stick that soufflé in the oven and get to work! 2. Go onto your computer and chose the size and font of your letters in Microsoft Publisher or your program of choice. 3. Print it out onto the transfer paper. Make sure to follow the directions for printing and click on “mirror image” in the settings. I found the lips in clip art. 4. Heat up your iron to high and set your lips and words in a position you prefer. 5. Iron your words and lips to the apron. You might want a little help with ironing. On the first try the transfer burned. Actually my Dad did the ironing on the first one and burned Mom’s new kitchen table! (Mom here, "ARGH...can't I ever have ANYTHING nice? Wah, wah.") 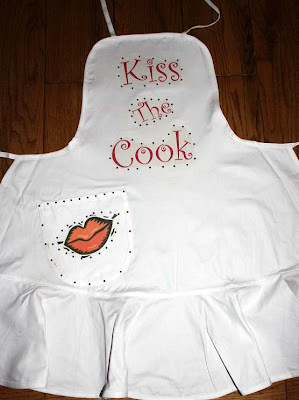 To protect the surface underneath put a pillow case or a cardboard t-shirt form under your apron while ironing. 6. Place the colored studs around the lips and words; bright pink around the lips, black around the words, and if you have a pocket or other major detail use red around it. Set the studs with the Tulip heat tool or your iron.